43620 Beaver Creek Ter, Leesburg, VA 20176 nestled in River Creek, Leesburg’s private and exclusive gated country club community, is for sale! 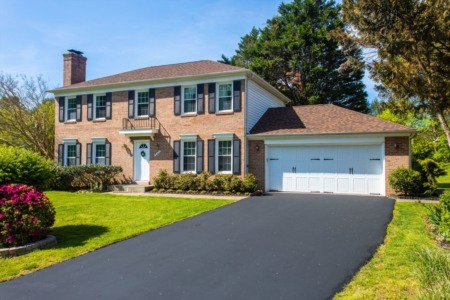 43620 Beaver Creek Ter, Leesburg, VA 20176 SOLD in 6 days for $650,000! Find out how much your property might sell for with our Instant Home Value Estimator. So when it came time to sell 43620 Beaver Creek Ter, we knew that it was imperative that we create the same “wow” feeling for prospective buyers. We gave the seller a few projects to get the home to show its very best and he did a great job getting the home ready. After just a few days on the market, the buyers came in for a tour after seeing a bunch of homes that didn't fit the bill. But when they came into 43620 Beaver Creek Ter, their jaws dropped and they said “Wow!" They knew it was the one. The buyers are now living in their new “wow” home and the seller is enjoying life in his new city! Ready to move into your 'wow' home? 43620 Beaver Creek Ter, Leesburg, VA 20176 just hit the market! View all 30 photos. Welcome Home to beautiful 43620 Beaver Creek Ter in River Creek - Leesburg’s private and exclusive gated country club community. This 600 acre planned community borders the Potomac River and includes an 18-hole championship golf course. The spectacular Somerset II with loft model will impress with its open 4-level floorplan and placement on the 2nd hole of the golf course. This home boasts 3 spacious bedrooms, 3 full baths and 1 half bath, loft, and 4 immaculate finished levels over 3,000 sq. ft. of finished space including the walk-out basement. Highlights of this gorgeous home include soaring ceilings, upgrades throughout, detailed moulding, built-in sound system and touches of luxury everywhere. The main level features a two-story awe inspiring entrance, open living/dining/family room perfect for entertaining, 3-sided fireplace and direct access to the grand maintenance free deck with panoramic views of the golf course. The chef of the home will enjoy all this updated kitchen offers. Featuring beautiful granite counter space, cherry cabinets with under lighting, tile backsplash, 5-burner gas cooktop, GE Monogram stainless appliances and breakfast bar! Well equipped and ready to cook! The upper levels host 2 spacious bedrooms in addition to the elegant and luxurious master bedroom suite with sitting area and views of the golf course. Features in the master bedroom include two walk-in closets with custom systems making it easy to keep things organized. The spa-worthy updated master bath is complete with a whirlpool jacuzzi tub with a view, separate vanities, and a walk-in shower. The upper level also leads to the loft with endless options. Keep it as an office with its custom built-ins, or possibly enclose it to create a 4th bedroom; whatever best suits your lifestyle! The lower level has room for living and lounging! Whether you are up for games, a movie by the gas fireplace, or taking the party out to the patio; there is a little something for everyone! Weekends are made for relaxing on the trex deck or the fenced in brick paved backyard. Enjoy spectacular sunset views and watching fireflies light up the night. Landscaping and timer set LED lighting on all trees create the perfect scene. All this PLUS the in-ground sprinkler system! Amenities available in River Creek include: bar/lounge, golf club (membership available), club-house, common grounds, community center, gated community, jogging/walk paths, tot lots, meeting room, picnic area, lake, pools, tennis courts and social events. Peacefully private yet minutes to everything including Route 7, Dulles Airport, downtown Historic Leesburg, Leesburg Premium Shopping Outlet, great restaurants, shopping and more!